Here are some of the things our wonderful clients have said about us. Also feel free to check out our Track Record of successful sales in the past and Contact us if you'd like to get in touch! "If you're in the market for a new home Team Lytle of Century 21 is the way to go! I was a first time home buyer and very nervous about the entire process. Thanks to my Realtor Joel Kitterlin my nerves didn't get the best of me and the entire home buying process was like "a nice walk in the park". Never in a million years did I anticipate things going as smooth as they did and I owe all the thanks to Joel for being upfront, professional and attentive throughout the entire process. I couldn't have asked for a better Realtor." "For buying my first house and new to the area Adam was excellent in whole buying process. Knowledable about the area and quick to respond to my first time buyer question helped a lot. Adam was willing to go the extra mile, if that meant going thru hundred or so listings on the computer and telling the pros and cons about the area. If you want a realtor that is honest, down to earth, and an expert in his field I wouldn't think twice to ask Adam to help buy or sell a home again. Its a no brainer give Adam a call for all your home buying or selling needs." "I especially appreciated being able to reach you by phone quickly. When you have a question, you appreciate a quick answer." "Adam was very professional and dedicated in getting my home sold. He would go by the house to turn off lights that were left on. Once there was a malfunction of a lock and he took care of for us, because we were out of town." "Mr. Lytle is a go getter. He was able to sell my property in a slow market. I had a different agent who had the property on the market for six months, with limited activity. Once Adam listed it he pushed hard and sold it. Thank you"
Leslie did an amazing job going above and beyond to ensure we were taken care of...I truly believe she had our best interest in mind, we weren't just a paycheck. "We thought you were very thorough. Closing was pleasant...communication was good...everything was handled promptly and professionally. The lines of communication were exceptional. When calls were made to contact you there was either an answer immediately or there was a returned call in a timely matter with precise answers and/or solutions." "Adam is the consummate professional, answering every question my wife and I had--which were many--with equanimity and promptness in a way that explained very simply what we wanted to know. Anyone who is either thinking of selling or buying a property should have no hesitation in using Adam's services. It is a decision that you will never have cause to regret. Having bought and sold homes in 4 different states, I can easily say that working with Adam was pure pleasure. The process moved like silk. Thanks, Adam, for your guidance and assistance. We are most appreciative." the marketing plan showed the house in the best possible light. We had wills to probate in two states adding legal layers to an already difficult situation. Adam and Team were right there offering insight, suggestions, and solutions. We had a contract within weeks and closed in December. The numbers jived as promised and closing was a breeze. We are beyond satisfied with Team Lytle and plan to use them to sell land left in our parents estate. Two challenging property sales. Adam Lytle's competence in his field, savvy use of technology, people skills, calm and reassuring manner, team of confidence-building professionals, and network of individuals to help with home repairs and pre-sale needs literally got me through to the finish-line on what was for me, an arduous pre-Adam road. Oh, if we had only had him from the start! At the point we found Adam Lytle, I needed someone in whom I could feel confidence and trust. From the moment he first walked through the door until the day of closing, Adam was a resource of excellent information, offering insights and guidance gently, reassuring when I needed it, caring, and well... an excellent business man and an exemplary human being. Selling a home is not magic. It is hard work for all involved. Adam tells you up front what needs to be done to maximize your property's sale potential. When everyone is working to that end, the contract comes! Competent, confident, quick, reassuring, astute, skilled negotiator, technologically savvy. As a first time home seller and dealing with a parent’s 50-year-old house to prepare for that sale, I was filled with numerous anxieties over so many unknowns. I wish that I had known about Adam from the onset. That process of finding people to efficiently and cost-effectively do the work needed on the house would have been eased considerably by his numerous contacts. From the moment he entered my situation, his quiet voice, reassuring manner, efficient sharing of information, and attention to my particular concerns all eased the distress I had been feeling for many months. As a professional, I recognize a professional. But Adam did more than just competently address his real estate responsibilities. All of his associates with whom I had contact during this process were friendly, courteous, and helpful to me. His questionnaires to determine seller’s preferences and goals, guidelines to sellers for situating their home for the best sale, and his extensive use of technological tools to both market the property and to share information with the seller on progress was over-and-beyond. Most important to me was his skill in assessing the needs of all parties involved in the sale transaction. I do not like dealing with the business aspects of things, and his skill as a negotiator allowed me to sell the property quickly and to feel really good about how it was transacted. I cared about the people who bought my home, even though I had not met them. Adam and his team are top notch realtors! He is a man of his word (tells you what you need to hear, not what you want! ), he is easy to get ahold of if you have questions, and his data/metrics crunching is spot on. He gave us some info when we first signed with him and we were hesitant to do what he wanted; however, once we came around the house sold quickly. Needless to say, if I have another house to sell or purchase I will be contacting him and his team. Excellent, highly recommend! Very professional, had plenty of presentable data to help you understand what you are selling and how to sell it correctly. Took awesome photos of the house which i think helped sell it even quicker. I wasted 6 months with another agent and then changed over to Adam. Within 2 weeks of following his suggestions we had a signed contract. We live out of state and he handled everything in a quick and precise manner for us so we didn't have to travel back. Awesome realtor..
Adam was the fourth realtor who’d tried to sell our home in four years. Unlike the others, he gave us honest feedback which helped us price and prepare the home to sell on the market. By the time Adam was recommended by a friend, the rose-colored glasses were gone and we just wanted to sell. On his advice, we priced it low enough to sell and put a couple thousand in it to make it more attractive to a potential buyer. He was the first to ever get us an offer; after that, everything was pretty simple. "We were really pleased with your service. You returned calls promptly and you estimated closing costs very well so that there were no surprises at closing. You made a mistake in the flooring replacement cost to the buyer but promptly gave us a refund." "We have worked with him twice in selling a home; each time we were very pleased." Adam did a great job helping me get the most for my property. He is extremely knowledgable of the business and was able to get a quick sell for me. We had multiple showings in the first couple weeks and was able to close in less than a month. Very good at negotiating through the offer to get the most for me. Leslie was incredible! She made herself available whenever we needed her, answered our endless questions day and night and even went out of her way to make recommendations about our new city and local vendors! She listened to everything we said about what we hoped to find in a house and even routed us back to a home that we had overlooked in our original search which ended up being THE one! We could not say enough wonderful things about Leslie, and we would recommend her to anyone who is looking for that special home! Leslie can help you find it! "(My) phone calls were returned promptly & (my) questions were answered in a timely manner." There are not words enough to show how great Joel Kitterlin was for us during the sale of our home, he was absolutely fantastic. Joel came into our home sale after another realtor totally botched our initial listing and lost us two very probable sales. We were in the middle of trying to relocate from Louisiana back to Florida and were trying to sell our home before we could move and our first realtor completely blew it for us. Joel came in and saved the day and he helped bring us down off the ledge. We were completely frustrated, totally paranoid and we barraged Joel with a million questions and due to the previous experienced bugged him every moment right up until closing. Joel took it all in stride, he answered every single question, got back to us promptly kept us updated on what the market was doing and he even tried a number of marketing options just to help us get the house sold in a terrible market. Joel was tenacious right up until the end helping to try and keep us calm and relaxed during the process. We would use Joel again in a heartbeat, without a single hesitation. Thank you Joel for making a terrible situation tolerable and helping us through to the end. "Adam has been very helpful getting my house on the market. He has given me the information I needed to get my home ready to sell. I trust Adam's advice." "Team Lytle is the greatest team we have ever come in contact with. They are always there when you need them. Any question you have they will get the answer. Thanks for everything!" We cannot say enough about our experience with Adam and Team Lytle! We were lucky to work with Adam on the selling of our first home, and knew that we wanted Adam to assist us with the purchase of o ur new home. Adam brings a wealth of information to any transaction--he's super knowledgeable about the market in our area, and neighborhoods and was super resourceful in helping us make a decision. He was also super patient with us and answered all of our questions--no question was too small! I don't think we could have trusted our real estate transaction to a more capable and competent realtor and real estate team. The level of customer service and professionalism that Adam brought to the table made this important time in our lives actually enjoyable. Hopefully we won't be buying a new house super soon--but when the time comes, we will be trusting Adam and Team Lytle for sure!!! "I cannot give enough praise to Adam Lytle for the way he handled the sale of my condo. His communication and prompt response to me was outstanding. My condo had been on the market one full year before he took it over. He sold it within a matter of weeks. He truly took care of my concerns in different situations by going the extra mile. He's the best!" Adam is amazing! But, let me back up a little bit...I had been struggling to sell my home for years. My husband and I were both in the military and stationed in Louisiana. We divorced shortly after my military term ended and I went back home to Illinois and left the house for my ex-husband to sell. Well, long story short...he never sold the home and he got orders to Alaska, so he abandoned the house and moved away. I was then left to try to sell the house myself from out of state. I worked with multiple realtors, all who tried to sell the house for a couple of months, but when they were unable to sell, they lost interest and stopped trying. The mortgage was not being paid, and the bank would not foreclose on the house because my ex-husband was still in the military. It seemed like this was a lost cause and I would forever have this delinquent mortgage on my credit. Then I talked to Adam. He was extremely personable from the first time we talked. I remember being on the phone with him that first time longer than I had been with all of the other realtors combined. He wanted to know everything so that he had as much information as possible to help me. He was very thorough with his questions and he really listened to my answers. Within a short period of time, Adam had the process rolling and even had interested buyers! We were doing a short sale and Adam was up front and honest with me from the beginning when he told me that the process can be lengthy. However, he kept in contact with me the whole time and was always available to answer questions. Since I was living out of state, Adam had me complete a POA and he completely handled all the paperwork himself! The only thing I had to do was read his updates, which came often. Adam made this experience completely stress free and easy. One of the best days in my life came the other day when Adam closed on the house for me! I have never been more grateful and appreciative to someone for all their hard work and dedication. I really thought this was a lost cause, but thanks to Adam, everything worked out. I am forever thankful to him for everything he did and if you are looking for a realtor, Adam is the way to go! "Not only does Adam Lytle answer the phone when we call him, he is extremely helpful with anything we ask about real estate. He is informative, punctual, and has an excellent personality. His honesty is refreshing and his knowledge is awesome; this young man of superior character has my respect and we wish for him to not only find a new home for us but sell my current home. My husband and brother are equally impressed." "To whom it may concern this is just to let anyone that is looking for an awesome Agent know that we are extremely excited about Adam Lytle. Our property was on the market the first time with another agency for 6 months with no response. I put it back on the market with Adam and less than a month later I had a contract!! Its sold for a good price and I am very happy. Adam did an exceptional job selling our property in a very quick and professional manner. The sale of our property took place while we were out of town, so we could not be there to sign all of the documents. That was not a problem for Adam. He took care of everything. We even trusted him with Power of Attorney! The day of the sale our check was in the mail!!! We highly recommend Adam to everyone, because he is certainly the person who can get the job done expeditiously and professionally. Thank you Adam!!! Great job!! We really appreciate you!" "It was your assistance "above and beyond" in getting the home ready to sell that was exceptional. Being an out-of-town seller, I obviously had to find a reliable agent whom I could trust to market the home well. But I also needed that agent to become my contractor in arranging for needed repairs on the home and grounds, setting up an estate sale, and even signing documents on my behalf since I am 150 miles away. Adam filled this double role admirably, and that not only saved me countless trips between Dallas and Shreveport, but gave great peace of mind in knowing that these affairs were being handled with integrity. Well done." "You have an exceptional company. You deliver what you promise & you fit the perfect house with the right customer." Adam Lytle is the best Realtor in Shreveport/Bossier if you are with another realtor you are wasting your time. My husband and I hired Adam Lytle to sell our home in 2014. We had had four (4) other realtors who promised to sell our home within 3 months or less none of them except Adam Lytle kept his word. We were disappointed at the lack of compassion, ethics, and dependability with all other realtors we had chosen. The home placed on the market in 2012, the Coldwell Banker realtor assured us that she could sell our home in less than 3 months. This realtor did not keep her word and used no media to market our home; instead, she argued with the people who were interested in placing an offer and they went elsewhere. After her, we obtained another realtor from Diamond realtors who told us to lower the price of the home below what we owed because we were going to pay for it anyways. The realtor failed to notify us of damaged by a storm and it was in need of repairs. We were living in another state due to my husband being Military and transferring. We had to make a trip back to repair the roof and other damages occurred by the storm. We found our from a neighbor that our home had been damaged over a month ago and at this time the realtors contract had been in effect for over 3 months. The realtor never had an open house never showed anyone the home. After having our home on the market for six (6) months, we decided to terminate the contract with her since she did not return our calls or emails during a 3-month period. Finally, after having equal luck with the other two realtors we found Adam Lytle. It took less than 2 months to get offers we received six offers. Adam Lytle went beyond all our expectations especially when many realtors had broken our trust. He used a professional photographer placed our home in Zillow, Trulia, Craigslist, and various other websites. He also used and app that people could drive by our home and scan the code so that they can receive all information about our home on their phone. He had open houses we had many showings. On certain days, we were away from home all day due to the number of showings scheduled. Adam Lytle is a man of his word and apparently, that is very rare to find in Shreveport/Bossier. Adam Lytle also gave us great tips on how to stage our home. Eight months after selling our home Adam Lytle also helped us by shipping valuable belongings to us that we accidentally forgot in that home. If you are not working with Adam you are missing valuable information that could help you sell your home quickly. If I were to buy a home in Shreveport/Bossier I would chose Adam Lytle. He is THE BEST REALTOR in LOUISIANA! I could write an entire book based upon the compassion, ethics, and dependability of Adam Lytle. Thank you Adam! Dennis, and Patricia Bracy WA. OK, so I have say, that never in a million years would I ever think that I would be a home owner. I always heard how much a pain in the behind it was to buy a house and how there were all these hoops. Also, that you would get blind sided left and right with problems and it would take months and months. Come to find out, it is all about the agents you get! On a whelm my wife and I decided to look at homes in our area and came across what would be our new home. We sent a little auto message to the realtors (which was Adam Lytle's office) super late on a Saturday night from an app. The next day we received a phone call from Joel Kitterlin and set up a walk through. We put in a bid that day and It was all smooth sailing from there. We were in our new home in a months time. Joel was on point with everything. If I had a question, he was quick to find the answer for me. God bless him, I had a lot of questions. He just about held my hand the whole way. Telling me what to expect and was always very friendly and down to earth about everything. He helped make it easy and it felt like he really wanted to make sure I walked away with the whole experience being pleasant. If I ever need a realtor again, I will 100% call up Joel again. He was amazing. "[We enjoyed working with you because of] your kindness, courtesy, & knowledge of real estate transactions. [We chose you over other agents because] when I had called a year before to ask a real estate question, you took the time to answer & sent info without asking for anything in return - a rare quality!" "I was greatly pleased with the level of personal care and professionalism that was exhibited from day one until the short time (when) we sold our home. The collaborative spirit was greatly appreciated, as well as the willingness to adapt." "I have worked with several realtors in the past, none of which have come close to the elite level of service as we were given by Adam Lytle. From the beginning, my wife and I were impressed by the gentle, yet aggressive approach to sale our home. Adam took plenty of time with us to discuss all options and explain the nature of the market, making great suggestions that would eventually prove successful as our home sold in less than 2 months. He is a true professional thru and thru. I would highly recommend him to any of my friends and family... and actually already have. My wife and I have utmost confidence in Adam's ability as well as his well-polished approach to selling homes." Adam and Joel are wonderful! 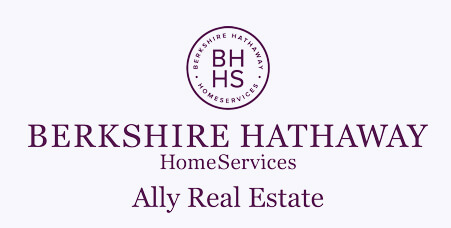 They are professional, have good communication, and have excellent knowledge of the Shreveport/Bossier housing market. Our previous realtor left our home in horrible shape, and lied to us. They did not hesitate to take our listing and give us advice along the way. Our home sold quickly and all parties are very happy with the sale!! Leslie is a wonderful realtor. She was very patient and understanding. She helped my wife and I find our first home on the very first day! 10/10 would recommend and I would do business with her again! Third time is a charm. Great patience with all of Adam"s dealing ,and the never ending "Is there any questions that you have for me" at the end of every conversation. Adam Lytle asks the right questions and has or gets the questions answered in a timely manner. Thinking ahead of his client for any possible answers to questions that may arise . Adam Lytle no doubt will be in this line of work for a very long time with many many return clients and referrals. Joel was fantastic. Very knowledgeable and made the selling process easy and smooth. Every question I had was answered fast. Before putting it on the market he walked through the house and helped us decide what was needed to get top dollar for our house. "It was a pleasure dealing with Adam throughout the home finding process. He was extremely helpful and was able to answer most all of my questions and concerns on the spot. If he did not know the answer to a question he would find out the answer and get bet back to me promptly. I would highly recommend him to anyone seeking a home in the area." "The personal attention and quick responses to my questions and my request to look at houses could not be beat. Even when Adam was not in town his partner was ready and willing. I would refer Adam Lytle and his team to any of my friends or family. Their service is a step above the rest. For any of my furture real estate needs I will be using Adam and Team Lytle. Thanks again Adam for all of your hard work and dedication to making my dream a reality. Thanks!" "Adam was a pleasure to work with during a fast paced negotiation and purchase of a rental property. He did what he said in a timely manner, always keeping me informed of the process and progress in the purchase. I would unconditionally recommend Adam Lytle for any real estate needs." "I felt that Adam did a great job from beginning to end in the process. At first, he made us feel comfortable that he was concerned for our best interests. The agent with the competing organization seemed to be more concerned with the amount and speed of her profit rather than obtaining the best financial value for us. Adam didn’t give up over the 6-months to make a deal in a difficult market. In the end, he even utilized his own commissions to reach a deal and prevent the property from going into inventory. This act alone allowed us to achieve the market sale bonus that was part of our relocation program. In no way do I believe the competing agent would ever have done this. Thank you." "I would be glad to refer Adam to [others] for their real estate needs." I've dealt with other realtors in the past and Adam Lytle hits it out of the park! He is very knowledgeable of the market and we had consistent showings on our house we were selling. He gave us tips on what would make our house more appealing to sell quicker. Working with him was a breeze and I highly recommend him for anyone looking to buy/sell their home. Our house was on the market close to a year, with very few showings during that time. We relisted it with Adam and we literally had a contract in less than one week. We met with him on a Wednesday, he uploaded pictures on Friday, it showed Saturday and Monday and we have TWO offers on Tuesday. I recommend him any time I know someone is looking to sell their house. He is very knowledgeable, easy to work with. Great Realtor! We have bought and sold 7 homes in the past 18 years, Adam Lytle is by far the best agent we have worked encountered. Adam was our agent when we purchased our home in Louisiana and negotiated a great deal with the seller. 18 month later Adam sold our Louisiana home in less than on half the average time for 97% of our asking price. The marketing photographs were spectacular, we had a constant stream of potential buyers and had an acceptable offer in two months. Adam is worth every penny of his commission and them some. If you are buying or selling a home in the Shreveport/Bossier City area Adam Lytle is head and shoulders above his peers. We used Adam to sell our house so of course we thought to use him to sell our land. Within a couple months we had a contract on the land (within a couple weeks we had a contract on the house we sold). Adam is very professional and thorough. Highly recommended. He needs to be on a reality show for realtors!! He simply gets it DONE!! "Adam had all of our information available online very fast which led to our home selling very quickly. He was always available to answer our questions or concerns. I highly recommend Adam as an agent!" Joel Kitterlin is an excellent Real Estate Agent. He is very professional and a hard worker. We had a very difficult time selling our house. The agent we used originally did not seem to put forth the effort to get it sold and we had it listed for a year this time. We almost gave up and rented it again. I had a friend in the neighborhood that used Joel so we switched and I am grateful we did! We listed the house on June 1st, it was under contract by June 12th and closed on July 13th! Thank you so much Joel for everything! Adam was GREAT!!!.... He is very knowlagable about this business... And was always there when we had questions. Adam and his team come highly recommend from me!!! Thanks for all the hard work and quick painless selling process! "As out-of-town sellers, the communication was excellent both by phone & e-mail. Adam is a walking source of knowledge regarding current real estate trends, tax consequences on capital gains and other issues that one may face when buying or selling. He went beyond the call of duty to help us move things along when it was difficult for us to drive to Bossier City each time. And although he is a very busy agent, he never rushed us during phone meetings. He was also effective in selling our property in a weakened economy. Adam's strong marketing strategy utilizing both print and electronic media made us feel that our property was getting more showcase exposure than what other agents offer. Overall, we are very pleased with Adam and his team's performance." Adam Lytle is a lean mean selling machine. In July after having been with a different agency and going to closing 3 different times only to be disappointed with a no sale, we decided it was time to do something different -We decided to go with a different agent and found Adam Lytle on Zillow. After reading his reviews and talking to him on the phone, feeling very confident and optimistic, we went with him. Adam was at our property the next day and suggested some staging ideas giving us a name of a very talented young woman, he suggested a new set of pictures and brought in a fantastic photographer, and aggressively marketed the house on at least 5 different sites. He had two buyers by the end of the first week our property was released on the market-no joke. We then went to closing with a backup offer just in case but did not need it. Not only did he sell the place but his professionalism and know how made it super easy for these out of town sellers. We thought after all the problems we would have to lower our price but Adam told us to hold on till after marketing, staging, and photographs and he was right. There is not enough room to write how thankful my family is to Adam Lytle. He was in constant contact, even on vacation, letting us know everything that was going on and ending every conversation with his trade mark "Do you have any more questions for me” Well Adam we have no questions except why we did not find you sooner. Thank you so much- In one month we have a check in hand. It was a pleasure working with Evodna Springer in selling my home. She was professional and knowledgeable. Evodna kept me informed and up-to-date with information throughout our time working together. I would highly recommend her to anyone looking to sell or purchase a new residence. "Joel Kitterlin was awesome. He did a great job helping me and my family get our first house. Go see Joel Kitterlin"
"Totally recommend Mr. Lytle! He was referred to us by a close friend on a Friday evening. He took the call that night and had us in a contract on the home of our dreams in three days!!! Great communication, knowledgeable, and professional. He will get the job done!!!" "We were very pleased with the way our needs were met & the entire deal was very pleasant...the whole process was handled very professionally." "Adam was very friendly and eager to help Mary and I with whatever we needed. As first time homebuyers, we had a lot of questions, and they were answered in a way that we could identify with. Adam was always available for appointment, and oftentimes was very flexible with his schedule to accommodate our needs. Adam was very honest when it came to assessing properties, and helped us see the worth of different aspects of the homes we looked at. The diligence and dedication Adam portrayed allowed Mary and I to focus our attention on other areas of the process. We very much appreciate the “only customer” feeling that Adam gave us. Adam and deserves high praise and recognition for a job well done." It was a painless process on Leslie’s behalf and she was great to work with. Would definitely recommend in the future! Prior to working with Adam, we had our home listed with another agent, different company. It's a beautiful home in a high demand area. In the six months we listed with her, we did not have a single offer. We are out of state and felt totally helpless. Once our contract was up, we talked with Adam Lytle. Both my husband and I immediately agreed that he was the way to go to get our home sold. He was congenial and quick to respond to our queries. A photographer came and took fabulous pictures for the listing. He works with a great team. Within a month of listing with Adam, we had an offer, and it was the one! Our house is sold! Adam Lytle is a true professional and a complete expert in real estate. I would recommend him in a heartbeat! Thank you, Adam, for everything. You made us feel at ease across the country. We greatly appreciate all of our hard work! Leslie helped up find our dream home. She was so helpful and patient with us! She is very professional and great to work with. "Adam was a pleasure to work with. Always excellent at responding to my questions, technologically savvy (which increased our home being viewed online). He did everything in his power to ensure my house sold. Use Adam as your agent, you won't regret it!!" "When I started this, I really didn't think that I would be able to find a house in the right place at the right price. But you made it happen. I just wanted to say thanks for all your hard work. Take care, God Bless." "I was pleased with the way that Adam managed to get my property sold even after experiencing adversity with the lender!" "As a first-time homebuyer I was excited and nervous. Team Lytle made it so easy. Joel Kitterlin was awesome to work with. He knew about the homes we looked at. You can tell he did his homework and is passionate about what he does. In just a short couple of weeks we found the perfect home for us. Everything went so smoothly and we couldn't be happier! Thanks Team Lytle and Joel!" "I called Adam Lytle to help me sell my home. I was familiar with him from closing on my daughter's first home. I told him I was moving out of the state in two weeks and I needed to sell my home. He informed me of my options and he went to work. I signed over power of attorney to him and he handle all of my transactions while I was living in another state. The mortage company never hassled me for not making any more payments. Mr. Lytle kept my house from going into foreclosure with no payments for 10 months. My house sold in a short sale with me walking away free and clear of all debts. Mr Lytle comes highly recommended from me he was a God send. Thanks." "Well pleased with good service." "We sold our home and closed the sale on Halloween 2013. Now I know why Adam is so highly rated in the reviews. He is very professional, considerate and responsive. He advised us of our options and kept us informed. He was patient and helpful throughout the offer/counter-offer process. We interviewed numerous real estate agents when we preparing to list our home, and we used other agents for other real estate transactions. The difference among them was obvious from the beginning, and we were very happy we selected him to list our home. I couldn’t recommend his services more highly." Adam simply sets the bar for what your looking for in a real estate agent. You need to look no further, I can assure that you will not regret letting him represent you as your agent. He will work tirelessly, professionally, and unselfishly in your best interests at all times. I could write volumes on this man's credibility, professionalism, knowledge, integrity, and he would deserve every word. I consider myself very fortunate to have had such a great real estate agent to handle the sale of my home, and would hope that everybody's agent could match the caliber of Adam, but I found out quick that Adam is in a class all by himself. "Adam did a great job of listing/marketing our home. We had 2 offers the first week it was listed. I would recommend Adam to anyone and would definitely use him again! Adam always available and knows the market well. Adam presented us with pricing options and market strategies to allow us to make the right decision." We used Joel Kitterlin and he was excellent! Professional, efficient and negotiated with our builder to get us the bottom dollar. He was on-point anytime we needed him and was a pleasure to work with! We will and would recommend him and will continue to use him in the future! Thanks Joel! "I was very impressed with the way Mr. Lytle handled the sale of my home. He was there to answer all my questions and walked me through every step. I would highly recommend Mr. Lytle for all your real estate needs!" We are a military family and had two homes in the Shreveport/Bossier area. We had renters in both of them, and both tenants moved out within 6 months of each other. We did some research and interv iewed our top picks. Adam Lytle gave us a thorough rundown of our properties and was proactive throughout the process. He gave us estimates based on actual sales and not just numbers we wanted to hear. We got full-price contracts on both properties! Since we live over 1,000 miles away, Adam put us in contact with great people who were able to do repairs and remodeling necessary to get our homes ready to sell. We were able to do most of our transactions electronically, and Adam even represented us at closing. We highly recommend Adam and his team to represent you for your real estate needs. Adam and his team did not let us down! He had our house sold very quickly! He is extremely organized and informative about the entire selling process!! Great team!!!! "I have dealt with several realtors in the past and this service was by far the best." "Adam Lytle was great. I did not deal with a company, I dealt with a person. With a company as large as Realty Executives we were worried about the service being impersonal. It was exactly the opposite. We looked at over 30 houses in about a 1 month period and Adam was very patient and was available 24/7. I am a very thorough person and Adam would answer his phone and go out of his way to answer my many questions any time I called or emailed him and was also never high pressure and was completely honest from day one. We even considered looking out of state and he went above and beyond to contact another realtor from that state. The service I received from them was far below the quality I received from Adam and is one of the factors that caused me to continue looking in the North Louisiana area. I cannot rave enough about the 5 star quality service that was provided. I was able to correspond from my office by email and fax which made the only inconvenience on the day of closing where I had to go in to sign the papers but that was no inconvenience at all considering I now own my home." "We have been looking at lake property in Shreveport for several years. Adam was been great at keeping us updated on what was available and at following up when we would find an address we were interested in even if it was not listed. As holder of a Texas Real Estate License myself, I was greatly pleased with how Adam knew his market and was able to trail down leads. He was always very low keyed and just there to help us find and purchase just that right property. We don't think you could ever go wrong using Adam to assist you with your real estate needs in the Shreveport area!!" Adam Lytle is an awesome agent. We have worked with him on two properties in Shreveport. Definitely our favorite agent in the area! "We recently relocated away from Shreveport, and Adam greatly aided our transition. Adam was extremely professional and very responsive. His knowledge of the area was critical for us to know what to price our home at and when it was time to make a move. He guided us through some challenging negotiations, and we would absolutely use him again if we move back to the area." Leslie was my agent and did a wonderful job. Made my first-time home buying experience easy and enjoyable. Joel works fast to get the job done and provides 5 star service! We will use Joel from here on out! "I never had a realtor before, and that is hard to believe because of the many places I have lived and my age. But, I want you to know I could not have had a better person than Adam Lytle. He knew what he was doing and did it very well. He was able to sell my home within a couple of months and negotiated when it was necessary to everyone's satisfaction. I was always able to get in touch with him - even at night. He did a couple of extra chores for me that were completely beyond the call of duty. I appreciate Adam Lytle more than I can say." I chose Adam, to sell my home, from a list of realtors provided to me as part of a relocation for business. Following our introduction and market analysis of my home, I found myself eagerly checking his references. (I was concerned that someone was actually better at their job than I am at mine.) To my dismay, it was 100% true. Adam Lytle never disappointed me, consistently exceeded my very high expectations, and was impressive during all aspects of the sale of my home. Adam's technological savvy must be industry leading, bordering on McKinnon-like. His knowledge of the Shreveport-Bossier housing market is more than I expected from agent, utilizing more data than an actuarial scientist. As a result of choosing Adam, my wife and I had nine showings and two respectable offers after about a week and a half on the market. As we approached our relocation date, my wife and I had zero concerns because everything had wrapped up in advance, thanks to Adam. In addition, Adam was very respectful to my wife, myself, and our property. He was always pleasant and kept our best interests in mind. I have no problem recommending Adam to my family, friends, or strangers. Leslie was very responsive in being able to represent me as a buyer's agent and work with my timeline. She provided knowledgeable expertise regarding the condition of homes, general neighborhood information, and negotiation strategy. "If you want to sell your home fast and hassle-free, call Adam Lytle." We'd love to work with you and can guarantee you will be just as happy as our past clients have been. We look forward to hearing from you!